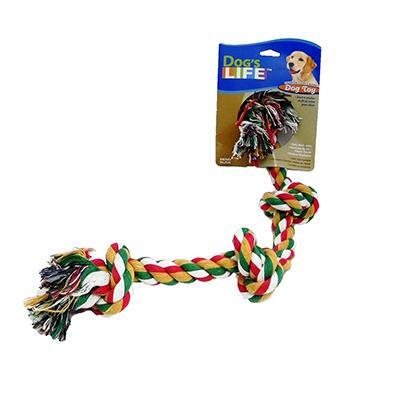 Rope toy with 4 large knots serves a dual purpose for you and your dog: it acts as a tug toy and a dental chew. The tough, non-toxic natural cotton blend strands act to floss between teeth and below the gum line helping to remove destructive plaque. Average length is 25 inches. Color may vary.